Everyone at Fram & Sax CP would like to wish you all a very Happy New Year and thank everyone who supported us during 2018 for their generosity. 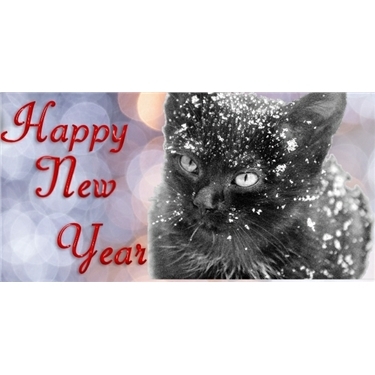 We have homed a good number of cats and kittens throughout the year (in excess of 100 as we write) and have helped many more with neutering and health care. No doubt the coming year will be just as busy for our fosterers and fundraisers. Fundraising Event Organiser: As we start the year we are planning our fundraising events and we are urgently looking for a Fundraising Event Organiser to take the lead in our fundraising team. The role would include sourcing and booking events and ensuring we have volunteers available for each one. If you enjoy meeting people, have some imaginative fundraising ideas and are well organised, we would love to hear from you. Fundraising helpers: Attending the many shows around the county depends on having a substantial team of people to; transport goods, pack and unpack at the events, sell the goods and speak to people about what we do. These are enjoyable days and we need more people to join us so that we can attend more events. If you can spare a few hours throughout the summer, usually at weekends please consider helping us. If you would like to join us as a volunteer and would like to know about what these enjoyable roles please Contact Gillian on coordinator@framandsax.cats.org.uk or call us on our branch number 01728 723499. Looking for a home: Poor Sebastion has been with us for some time. He is thought to be about five and he had a tough time on the streets before coming into our care; he was found to be suffering from a serious infection. Now fully recovered, he is looking for a new home. He likes attention on his own terms and will soon let you know when he has had enough! If you are an experienced cat owner looking for a very special lad, Sebastion is the one for you. Call us soon to arrange to meet him.